What if we tell you, there are other ways to make your lashes look more attractive than what you’ve accomplished until now? But don’t stop doing the other home remedies and recipes, we have here posted, to keep your lashes strong and beautiful. Our next beauty helper is one of the best and maybe even sent from the God’s eyelash hack. Almost everyone I know love to use it. Thou, most of them complain quite often how their eyelashes fall and how they don’t miss to clamp their eyelids. Yes… Eyelash curlers…We all know the pain of using one. The times we’ve used it not knowing why is that sometimes we nail the looks. And other times we just ruin everything and look like we broke our face. The simplest detail can destroy a look more than you think it would. Well, you came here to get some tips curling, right? Not the game of course. You came to find a way to look more astonishing and beautiful than you already are. A well-known fact is that wider, bigger and brighter looking eyes are way more attractive to men. And having the upper hand in beauty is always the race we women want to win! Every single girl and woman out there, have their own preferences on what to use in their own makeup kits. This is where we are going to help you tell that the curler needs to fit in too. They’ve told me you need years of practice to get the perfect curl every time. No one has that much time if you need the perfect look today and now! Whether you know what your are doing or it’s your first time using a curler – this is the right place to be! In this article, we are going to talk about how to use the curler without hurting yourself and explaining more about its origin. I know, I know. It is not an easy task to find the right curler, but follow these tips and you might find “The one”. What you need is a curler that won’t pinch you, fall apart easily and fit properly your fingers. They might be very compact and can fit you in your purse, but full plastic and rubber curlers are kinda hard to use. We all know the stories behind rubber and plastic. It’s not healthy. Plus if you put more pressure on them they’ll bend and break really easy. Heat them up too much and they will melt away in your hands and burn you. Metal ones are the best quality you need. They won’t bend, brake and they are easy to clean and taken care of. So I said that rubber isn’t good, but too much metal will damage your lashes if you are not too careful. A good sturdy metal curler will have a rubber pad on the clamps. I would get myself the most expensive one because it will last longer than the cheaper curlers. The cheaper the easier to break. Which means that you will spend more money on buying new cheap curlers. And by the time the expensive one brakes you’d pay twice the price for buying constantly new curlers that are cheaper. And these are the brands I usually buy from them: Shiseido, Shu Uemura or Kevyn Aucoin. For wider eyes, you’d need a curler with a wider clamp. And if you have smaller, flatter eyes, find a curler with flatter curve, so your skin doesn’t get caught in it. Still not quite sure? Visit our top 7 curlers on the market. Traditional or also called standard curlers, made of metal and the clams have rubber pads on. Their structure is more scissor-like. So all you have to do is squeeze them for few seconds and the curl is done. The rubber pads are there to protect the lashes from the sturdy metal of the clamp. Search for curved curlers not straight. It’s just that the curly effect you are searching for, won’t look natural. Your lashes would be so weirdly crooked you’d be feeling quite uncomfortable with yourself. Then we have the heated curlers. Most of the heated eyelash curlers are just as the standard ones, with batteries to warm the pads. There are new inventions of heated curlers, looking more like an eyelash brush. You can heat up the curler with different thermal sources. A good heating source is the hairdryer and also warm water. But don’t keep it under the hairdryer for too long or you might burn yourself or melt the rubber. This is one of the many reasons I keep the plastic curler out of my shopping list. It can melt almost right away and it will get damaged really fast and I would have to go back to the store more often and more money will be wasted. You can also buy a heated eyelash curler like this one. You’d need the right temperature to make the curl last longer. But don’t overdo it. You might burn your lashes. And we don’t want to go out smelling like a burnt toast. No thank you! An important thing for a good look and for the curve of the lashes being on point is to always start with the curler when you do your makeup. Believe me, that way your lashes will be on your eyes. You’d be able to keep your cool and patience. Plus your efforts won’t go all over the place. What I have noticed is how almost all my friends use the curler after they are done with the whole makeup. Right after they have put the mascara. Тhen the curler gets all dirty and while they try to take it off the lashes they accidentally remove parts of the eye makeup and have to start from the beginning. Also applying mascara and then using the clamp to curl your eyelashes will make the lashes look more crooked and it will damage them. Want to know why? Well, mascara gets hard when it dries. Which leads us to the end that a lash will be less flexible and much easier to “break” in this case of hardening. Next very important thing. Are you redoing makeup? If yes, clean your old makeup completely and fully, so you don’t do any unnecessary damage to the lashes. Also, give your eyes, face and lashes a little rest of makeup. That damages all of them too. And don’t sleep with makeup. It won’t only be all over your pillow, but it will also be all over your face and making it swollen. Take time before bed to wash the makeup off, no matter how tired you are. Keeping makeup for too long can damage the lashes and would start hurting your eyes. Clean up the old makeup as good as possible, put some makeup but stop before the mascara. Use the curler and then apply the mascara to harden the curl and get the desired shape of the lashes. 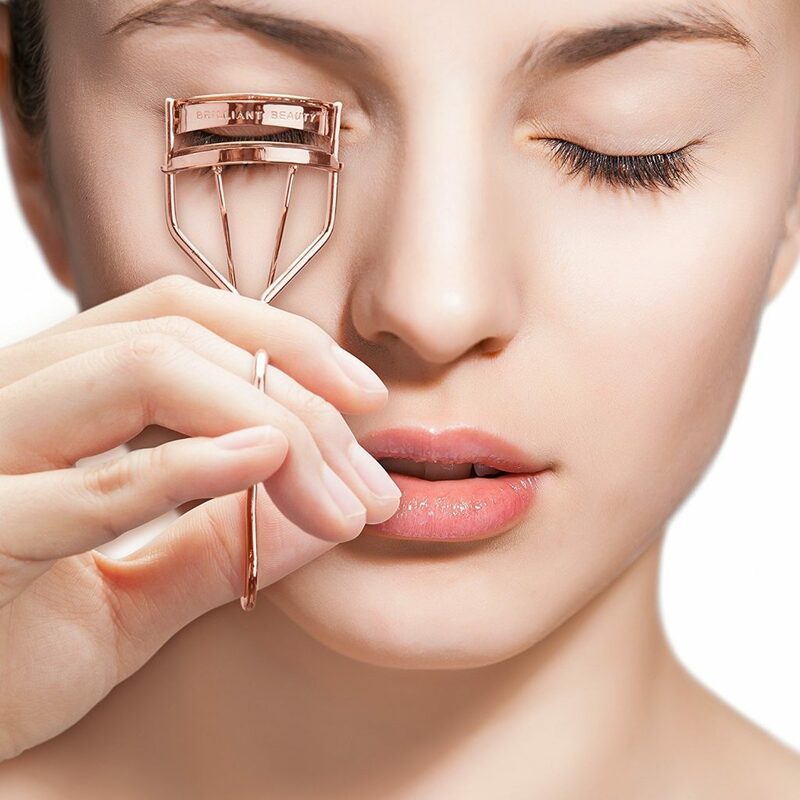 Using the curler after you have put the mascara can lead to serious damage to the lashes. As we said above, heating the curler will help your lashes to warm up. That makes them more bendable. Heat the curler for no more than five seconds under the hairdryer. Then open the eyelash curler and do so to position the clamps near to the roots of the lashes. I always tilt my head back so I don’t catch my eyelid skin into the clamps. It helps quite some much. Hold the curler gently and put as less pressure on as possible, but the right amount for approximately ten seconds, thirty at the maximum. The longer you hold the more natural the curl will look. But don’t hold too much or the curl will start bending too much. The pressure you use also might damage the beautiful lashes, so don’t squeeze too hard nor tug, because they might fall. Next step: Slowly release the curler from the roots of the lashes and move it a bit more to the tips and use the same pressure on them. The extra curl to the tips will hold the height of the curl and the desired look will stay longer. Another important trick up the hat. Hold the curler upwards so the curl of the lashes lines with the curl of the lids. Also, try squeezing the tool in a heartbeat pulsing pressure. If you are a visual person, just check this video. I found it very useful. Take care of it. You don’t want to have any infections right? Sanitize it after every use and before use, because even if it is protected well there is always a way bacteria to get in your eyes. 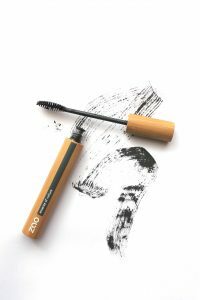 Even if you use the curler before putting the mascara there is always a chance that eyeliner, eye shadow, dead skin or anything else can get all over it. That is why I always recommend using the curler before putting any makeup. Or even if you want a curl and you don’t need to put makeup and look all natural. Pads should be changed every 3 months. Wearing down the pads will, of course, lead to damaging to the eyelashes, and you risk to infect your eyes. Dirty curlers and pads are less effective, a breeding ground for bacteria and it will make you look like you don’t care much for your surroundings. Especially when you have friends over. Wouldn’t you like to look good in the eyes of your close people, not just from the outside, but from inside also?